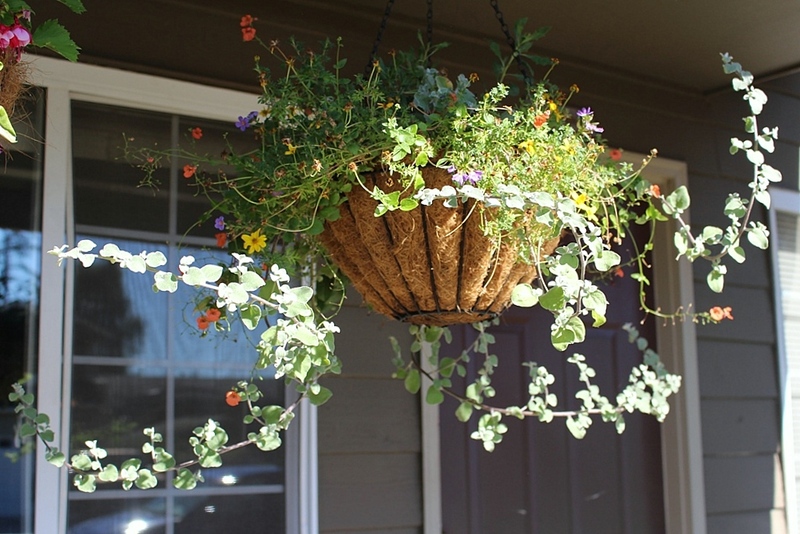 The Ramblings of an Aspiring Small Town Girl | Cooking, gardening, fishing, living, laughing. It has been a strange summer in Washington…. very strange. When you think of Washington state (particularly Western Washington) , what is the first thing that comes to mind? Apples? Mountains? Probably most of you thought rain right? We’ve had one decent rain in over a month, that’s it. It’s so dry most of the ground is dusty. The ground is never dusty on this side of the Mountains! Temperatures most days are in the mid 80’s to high 90’s and it just won’t let up. We are in dire need of some serious moisture! I feel like I’m gardening in a completely different zone! It’s funny, I think I do this every summer: I expect the garden to be in full harvest mode in July and it’s never really there until August. It’s like my harvest clock is confused. I then proceed to feel aggravated as if I have failed when, in fact, I’m almost there. So I’m trying really hard to keep that in mind as the month comes to a close and I anxiously wait for the fruits of my labor to perk up. Come check it out! Lets start with the pretties. I’m super proud of those. They are rockin and a rollin! 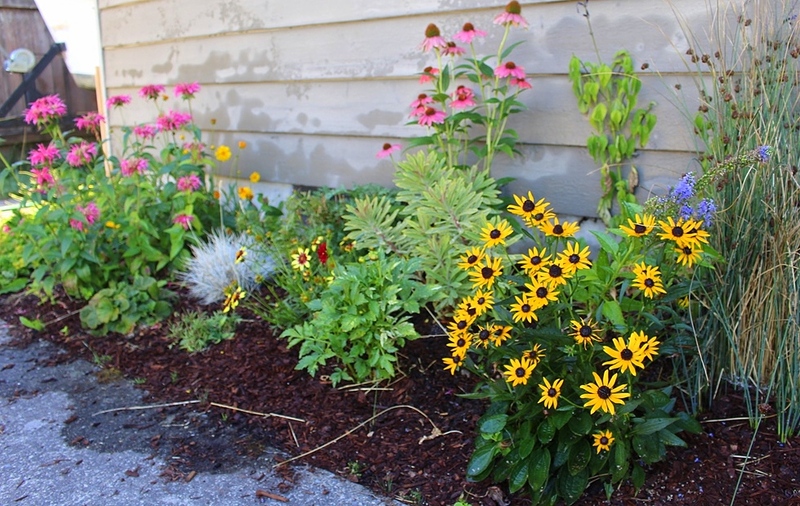 The perennials are all in various stages of blooming. They’ve had tons of visitors from bumble bees to butterflies and even the hummingbird occasional . Yep. this is all that it’s had for months! I don’t know what the deal is. I’m just sticking to the “Don’t F@#$ with it” method since I’m afraid if I give it too much attention it will die. My plan is to pot this little guy and bring it in before the frost this fall. Hopefully it just needs another year to build up. Any thoughts on why this little guy isn’t getting any bigger? 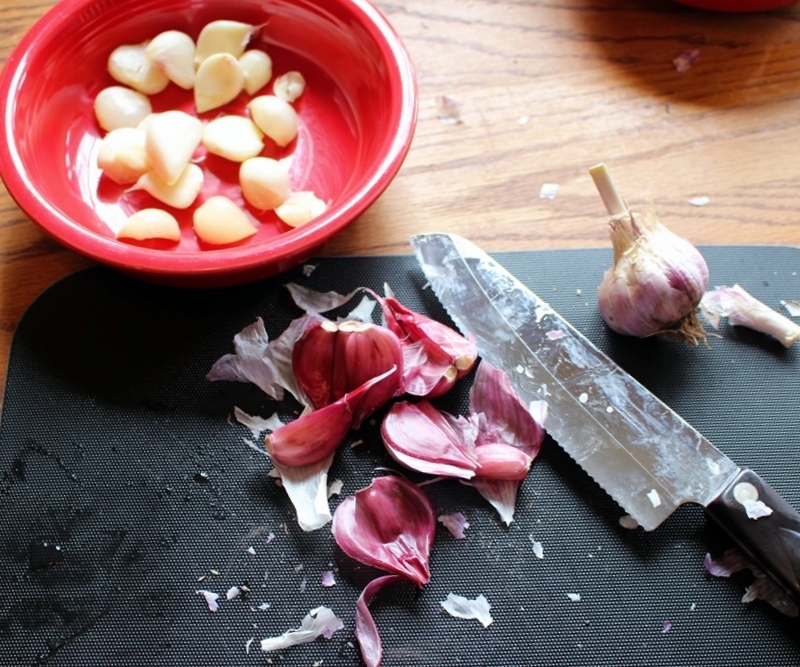 So some things have been harvested like the garlic and unfortunately the onions. I’m not really sure what happened. One day all the stems were up and happy, the next they were all bent in half. No stem = no growth. 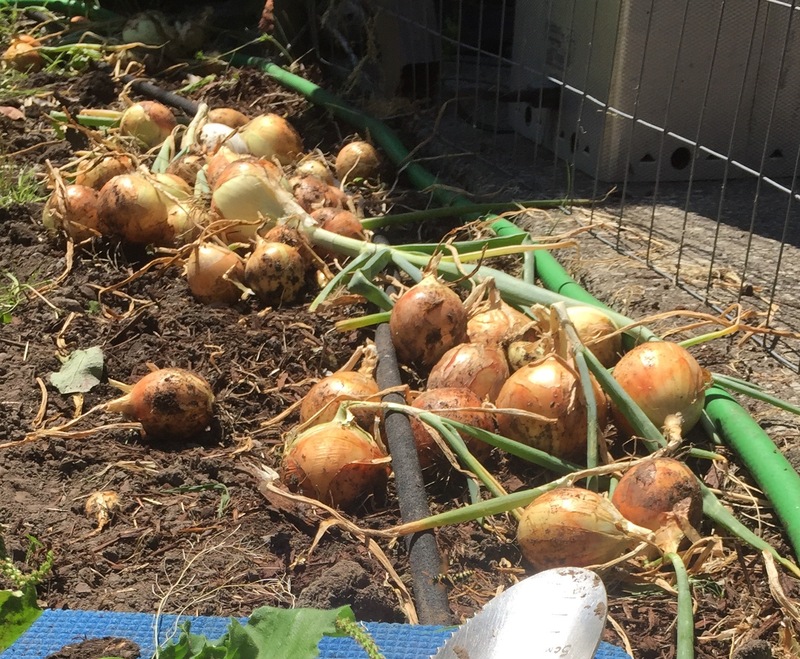 So I ended up with a bunch a little onions this year. I really was hoping for “bigger than my fist” sized onions like what I had last year. Oh well, you win some, you lose some. I do have a few left that are doing well so we might still get a few monsters before the season is over. 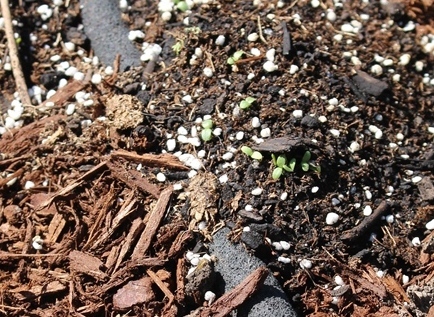 On the bright side, that left me with some unexpected real estate which I used to plant some more lettuce for the late summer. 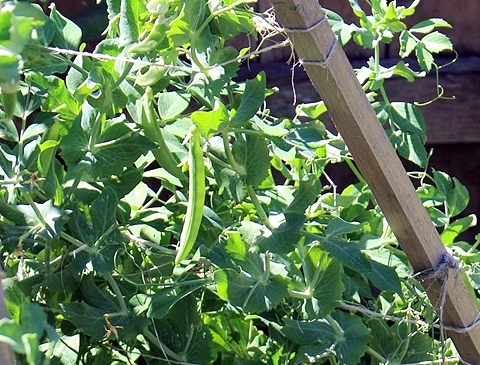 The peas finally got the memo and are doing well. I’m really happy with how sturdy the tee pee trellis worked out. 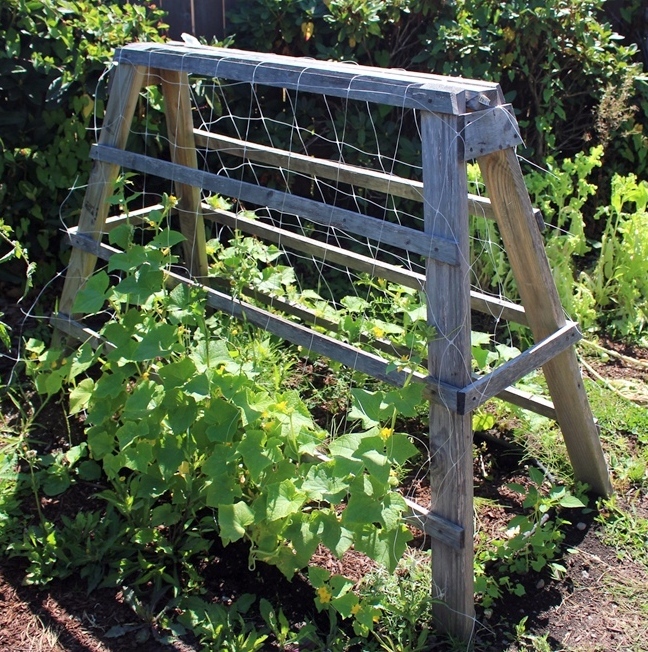 The cucumbers are making their way up their saw horse trellis. I thought they’d be farther along but at least they’re happy. The zucchini are doing great too. I’d love to show you but I keep eating them all! I can figure out why they are yellowing so much. I’m watering and fertilizing like I always do. Furthermore they’re producing fairly well. I’m just going to blame it on the weather. The big ones, on the other hand, are doing great! Green tomatoes everywhere, and a couple of red too! 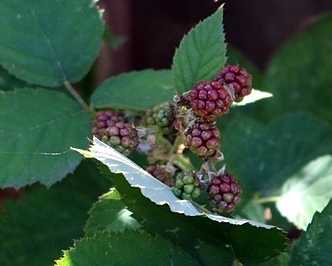 Last but not least, the black berries in the corner of our house are starting to ripen. I can’t wait to make blackberry mojito jam with them! 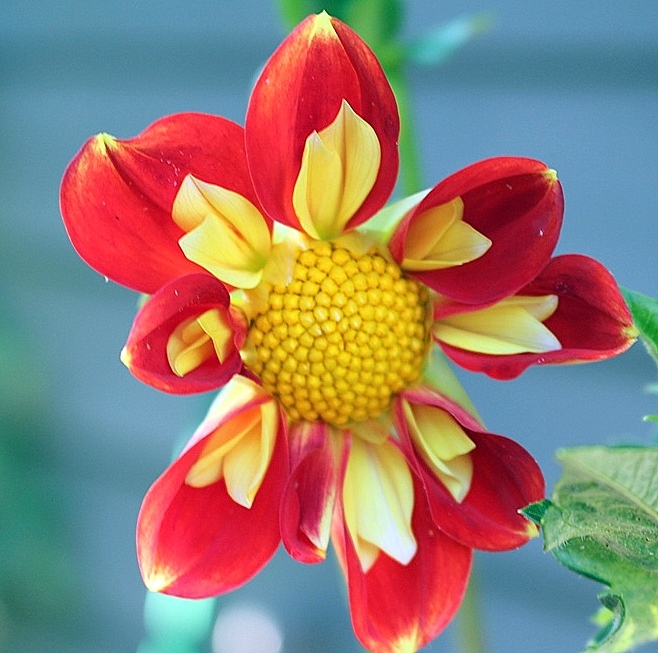 How’s it going in your garden? You cave! So this was my first time making pickles and with so many I wanted them to be the way I like them: no sugar, very vinegary and dilly (obviously) with garlic. I consulted the Ball Blue Book first but couldn’t find quite what I was looking for. Most of their recipes call for sugar, and, um no. I hate sweet pickles. It’s just not my bag. Next I searched web to see what other fellow bloggers had done. I soon realized it was simply a matter of determining your water/salt/vinegar ratio. Then add your extras and the rest is simple. 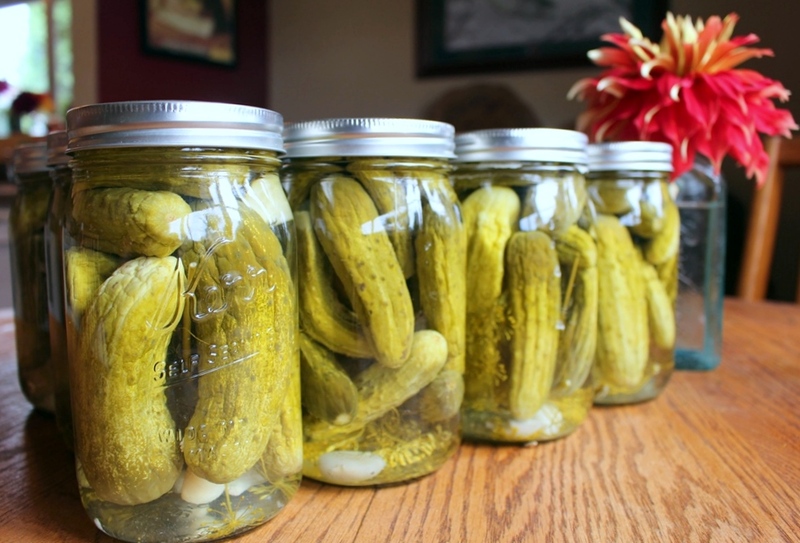 So here’s my custom but basic recipe for delicious dill pickles! 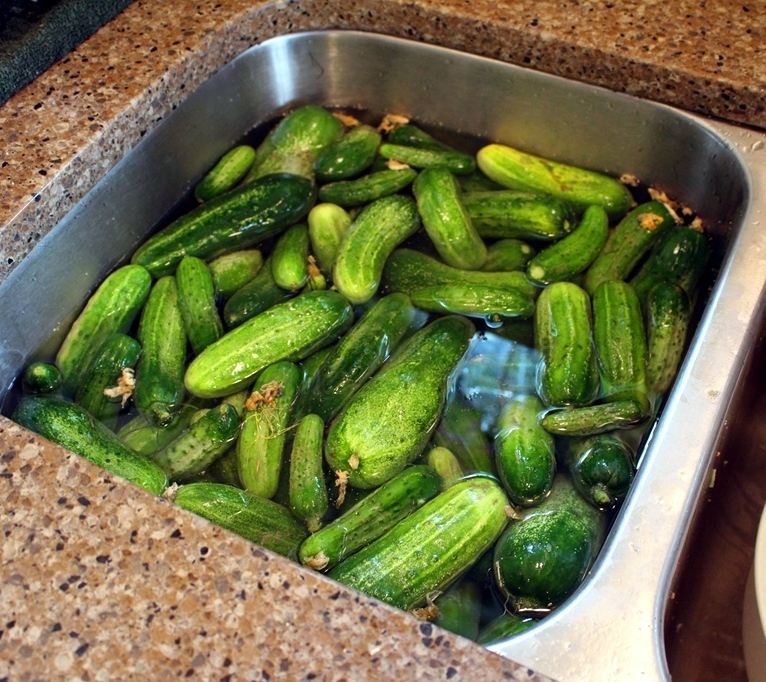 Soak and thoroughly rinse cucumbers. 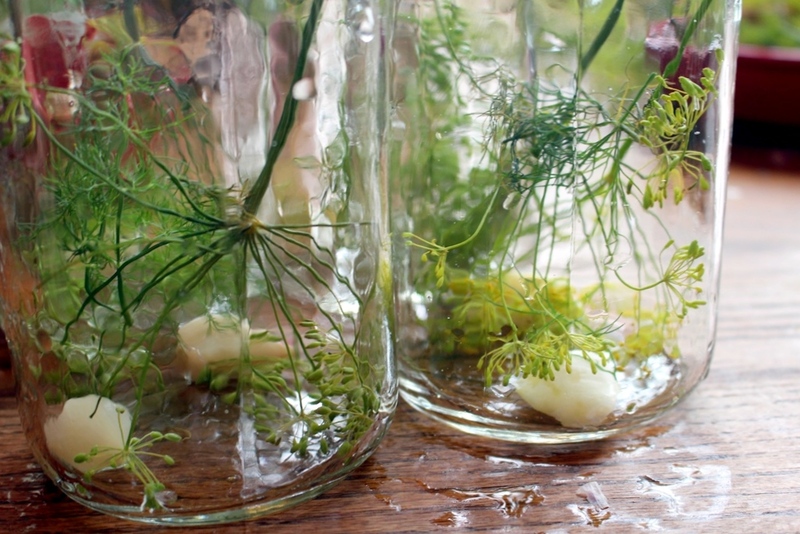 Remove any excess blossoms or stems. I found it useful to separate my cucumbers into small, medium, and large piles. 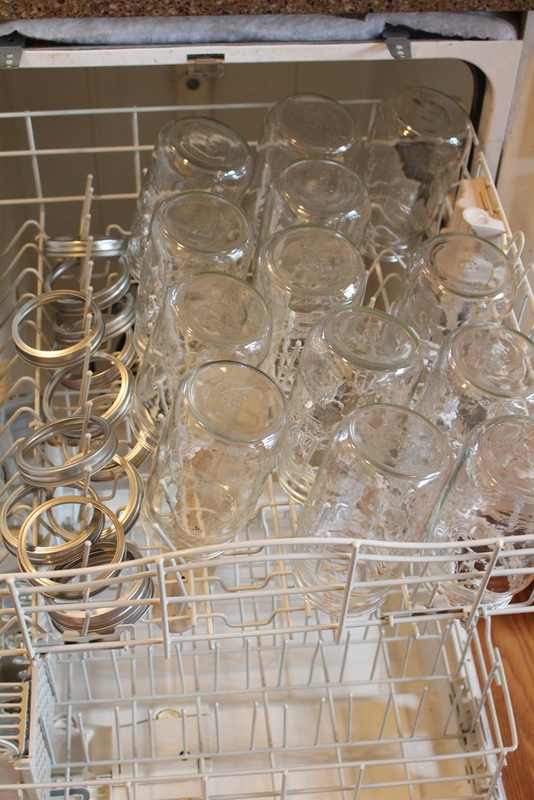 At this point start sanitizing your jars and lid rims. I just use the antibacterial setting on the dishwasher using water only. Works like a charm. Add water, vinegar, and salt to a large pot and bring to a boil. I check and stir occasionally as I’m setting everything else up. Once the salt is dissolved, turn the heat down to a simmer. This is also a good time to get your water bath stock pot warmed up and another smaller pot for warming up your lid caps. 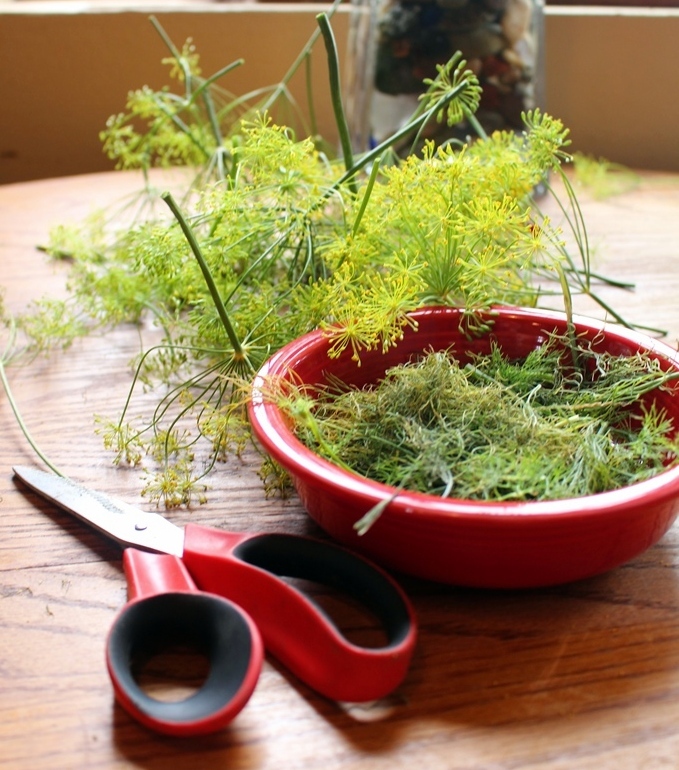 Cut dill heads. I also like to keep some of the bushy branches as they have a bit of flavor too. And now were ready to can! Start with however many cans you can fit in your stock pot. For me, it’s 4 of the quart sized ones. So I take 4 out of the dishwasher and continue to let the rest sanitize. Put 1 dill head and 2 garlic cloves in each can. If the dill head is very small, I’ll throw some of those bushy branches in too. 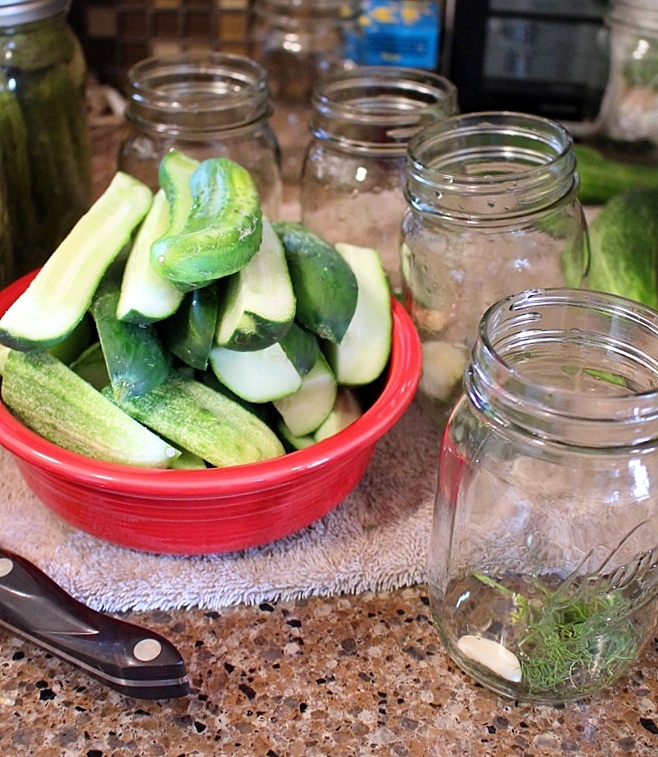 Add cucumbers lengthwise into the jars. I start with the mediums cucs and then stuff the top with small ones. Ladle hot vinegar/salt/water mixture over cucumbers leaving 1/2 inch headspace. Cover with lid and cap. Boil in the water bath for 10 minutes. 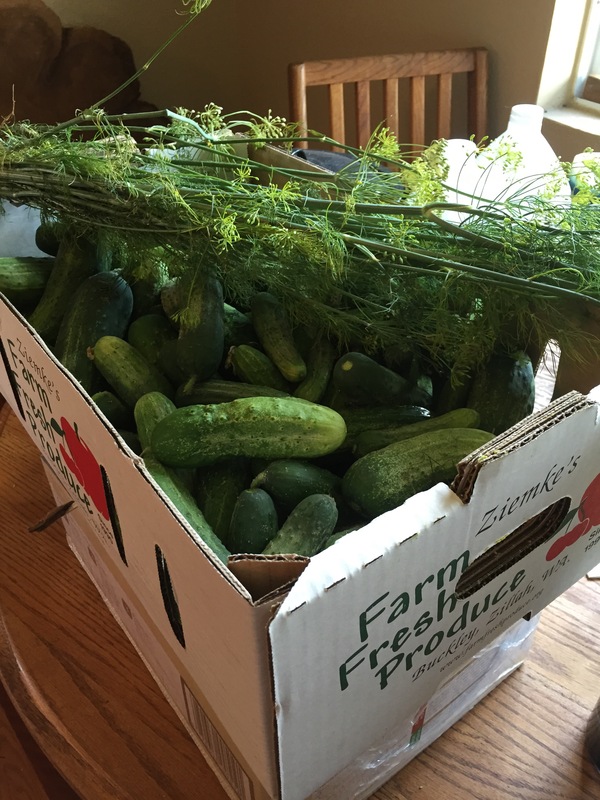 What to do with the big cucs? 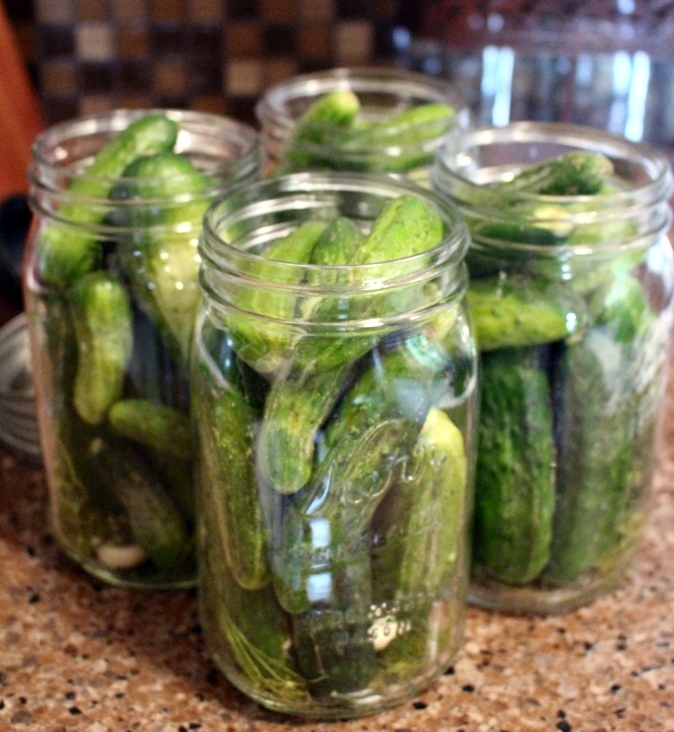 For me, I ran out of big quart jars before I got to the big cucumbers. 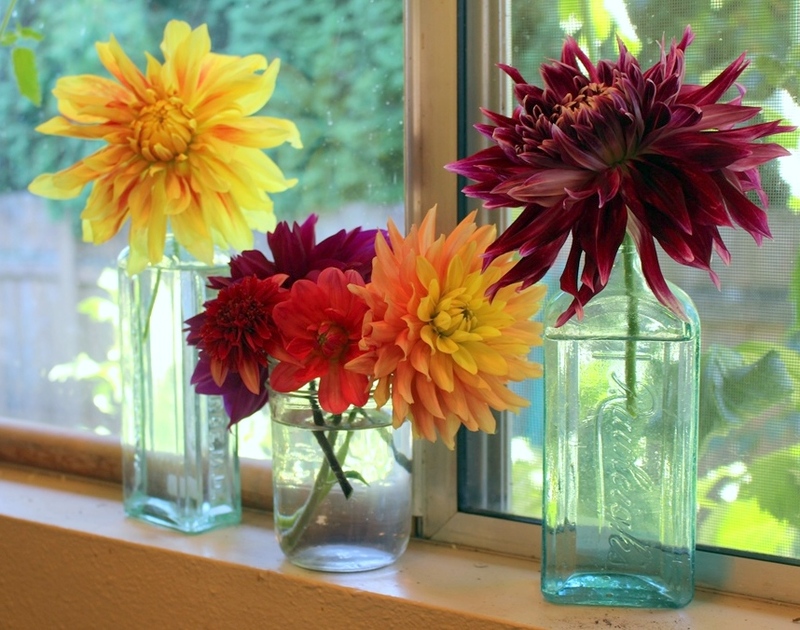 So I cut them up and put them in pint jars for gifts. Worked like a charm! Important: Wait at least a week before opening your first bottle. This will help set the flavors. Small Town Girl’s Favorite Finds: It’s Tomato Time!!! Welcome back to another fabulous edition of Small Town Girl’s Favorite Finds. Tomatoes are finally in season and turning up in droves at my local produce market. I’m so happy! There is nothing I love more than fresh tomatoes!! So in honor of this coveted time of year, it only made sense to dedicate a favorite find to some delicious recipe ideas for my favorite vegetable…. fruit…. both! I hope you enjoy. Also check out the Pinterest board for more of my favorite finds! First up: Panzanella Caprese with Garlicky Croutons from The Kitchen Sanctuary. A traditional Tuscan salad of bread and tomatoes. Nicky uses garlic bread for the croutons and the dressing is rendered from the tomatoes themselves! Genius! This sounds divine on a hot day! Click on the pick to go to the link! Rustic Tomato Zucchini Tart from Walking on Sunshine. I’m going to try making a single serving of this for lunch soon since it’s just me most days. But Wow! What a delicious way to use up all those tomatoes and fresh zucchini, am I right?? Click on the pic to go to the link! Heirloom Tomato, Avocado and Burrata Salad on Grilled Garlic Toast from How Sweet It Is. I made this one the other day and it was AMAZING!!! The picture alone sold me instantly. Even better, you make it on the grill so no running the hot oven in the summer! The avocado and tart green tomatoes take this dish to a whole new level. Click on the pic to go to the link! Gazpacho from The Domestic Man. Russ is your go to guy for all things gluten-free and paleo. His recipes are genius as well as tasty. Although I don’t have many diet restrictions, I’m a fan of fresh/paleo foods. If you’ve never had gazpacho, you are missing out, tomato lover. This cold soup is such a blessing on a very hot day. Click on the pick to go to the link! 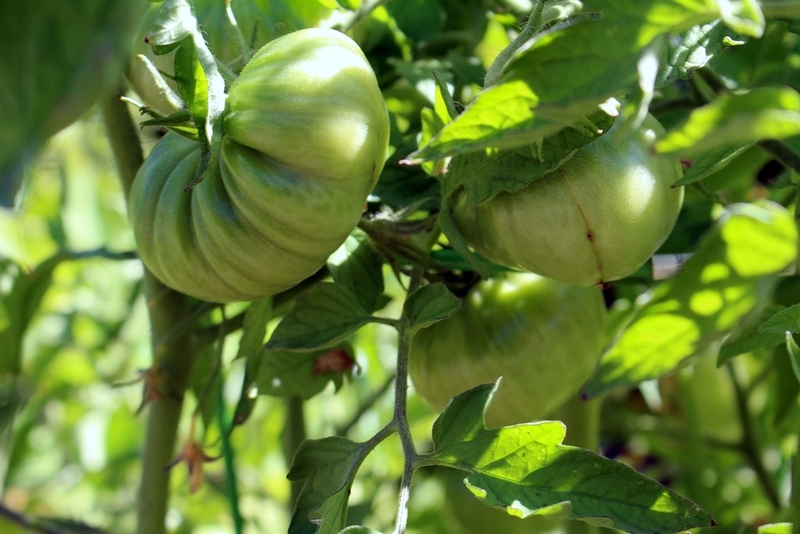 How to Make Fried Green Tomatoes from Big Bear’s Wife. Don’t these look like perfection?? I tried fried green tomatoes for the first time a few years ago and was blown away. 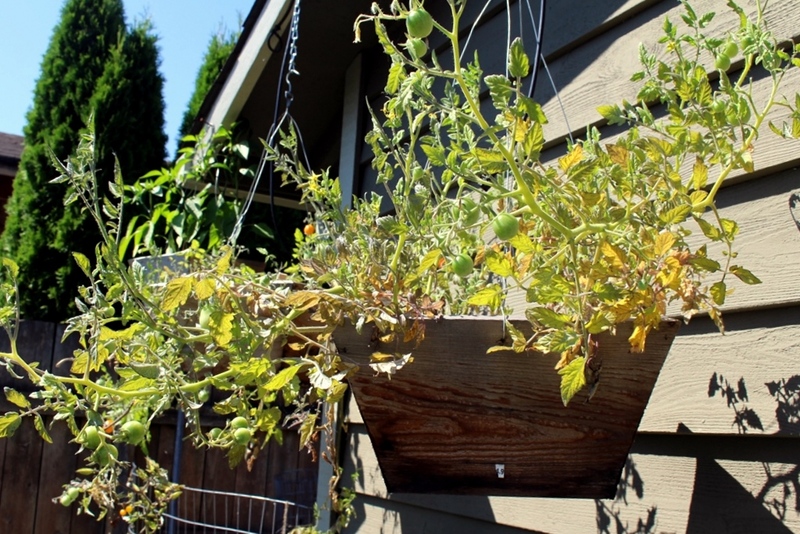 This summer I’m having a green tomato infatuation… I fear for my tomato plants! I’m trying really hard just to buy them from the local market in order to allow mine to ripen but they’re just so easy to pick and so delicious to eat!! Click on the pick to go to the link! Thanks for joining me for another edition of favorite finds! This is the best breakfast ever!! Seriously. 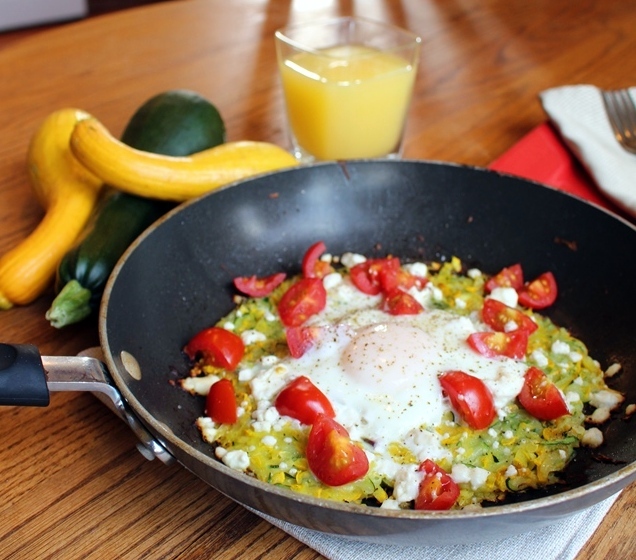 Turning squash into hash browns is healthy, flavorful, and down right awesome!! I didn’t know how much I liked squash until this summer. It’s been a very slow and steady journey over the years but I think I’m finally finding my squash voice. When I first started growing zucchini, I did it just for the zucchini bread, which is delicious, but you don’t even taste the zucchini. It kinda felt like I was cheating. So last year I started playing around with grilling and frying zucchini as many of us novice “squashers” do. Trying to bring out the flavor carefully and cautiously as to not disturb my under developed pallet. 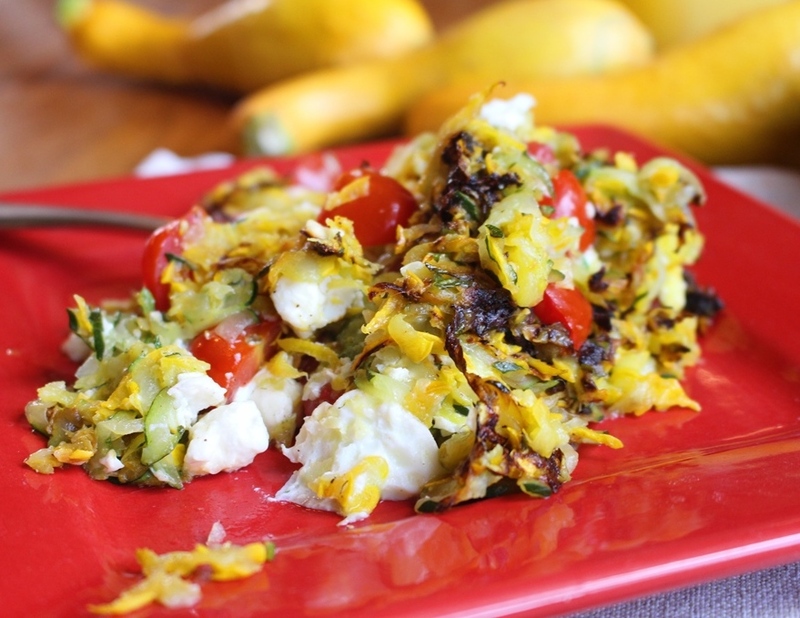 During that experimentation I came up with my favorite go to summer lunch: Zucchini Pizza Bites which I now have several variations of and enjoy for lunch almost daily. I’ve been running out of zucchini this year with how quickly I’ve been gobbling it up, and I haven’t made bread once!!! This summer Mrs. Stout introduced me to crookneck quash. 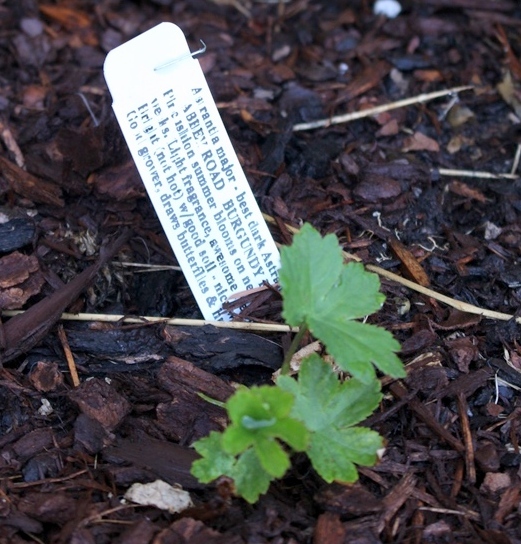 Such a hideous name for such a delicious plant. Seriously, they taste like butter! There is no way this could be healthy and yet it is! I’m growing my own next year for sure!! She’s got a few plants and more squash than she knows what to do with. The first time she gave me half a dozen! I panicked thinking “What am I going to do with all these before they rot? ?” It was time to go to the interweb in search of new ideas! I am not about to waste a gift from a dear friend! No sir! My initial thought was turning the squash into hash and it worked perfectly. 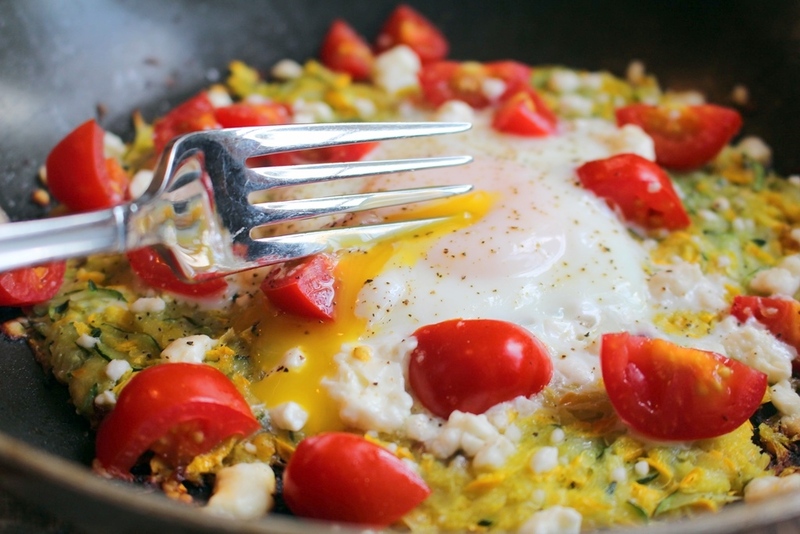 Spruce it up with some tomatoes, feta, and crack an egg of the top and you have my new favorite breakfast!! Now I’m calling up Mrs. Stout every week begging for more delicious squash. Stay tuned for other delicious recipes featuring this fantastic veggie. 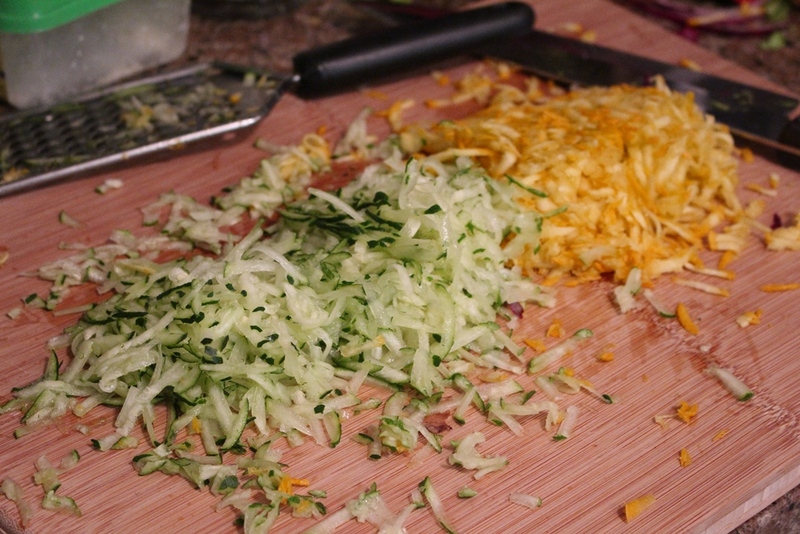 Shred squash using a wide cheese grater. Place squash in a fine colander and use the base of a cup or something similar to press as much of the moisture out as you can. Place a medium skillet on a wide burner at medium heat. Melt butter and coat the pan. 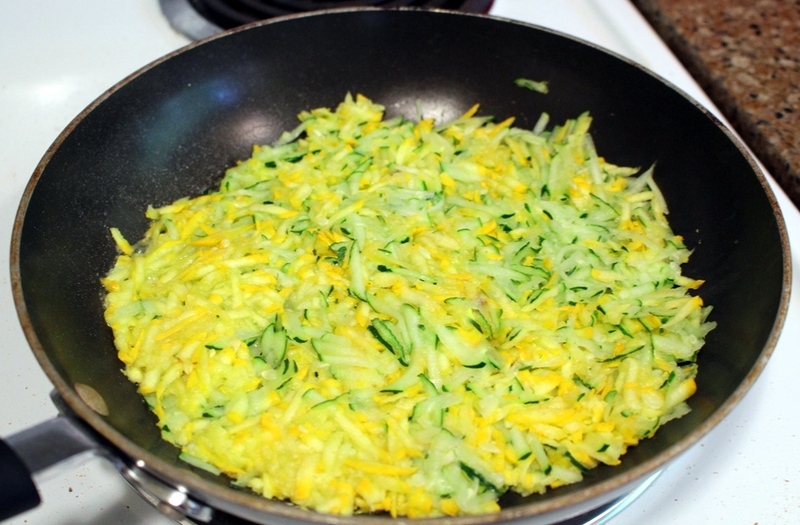 Add squash to the pan in a single even layer. It will look like a lot but it shrinks. Allow the layer to cook for 5 minutes. Flip the sqash once and flatten it into a single even layer again. 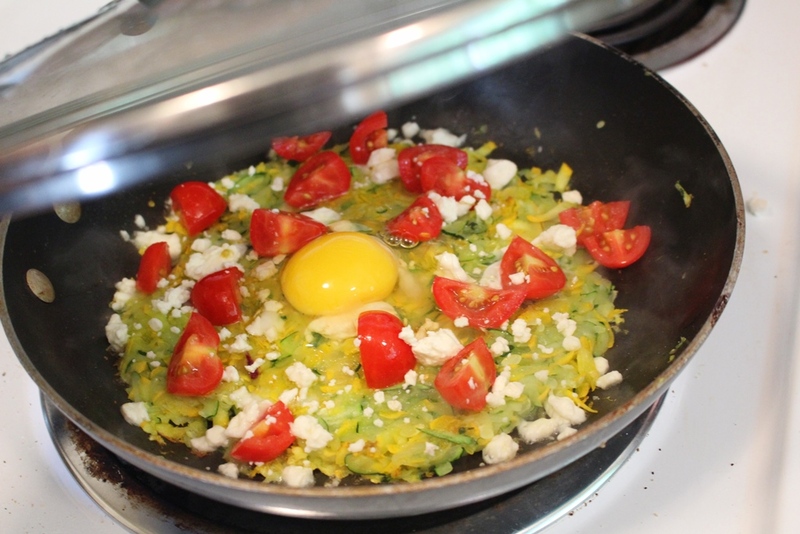 Sprinkle tomatoes and feta over the top and cook for an additional 3 minutes. Crack and egg on top of the hash and cover the pan for 3 minutes. 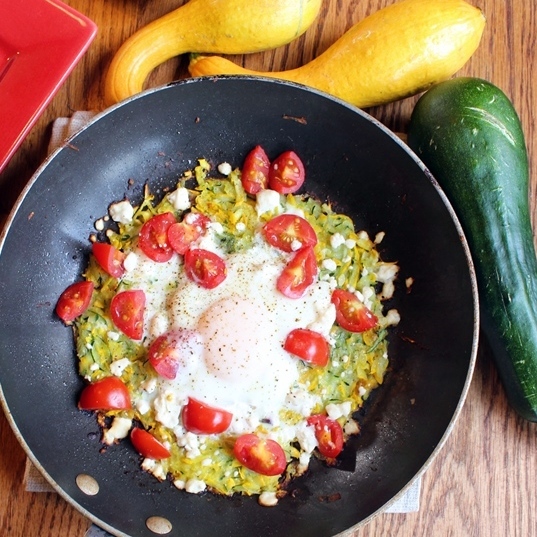 The excess moisture from the squash will steam the egg perfectly! Now of course it looks so pretty in the pan and you could eat it right then and there in all it’s glory…. But I like to dump it on a plate and mix it all up like a little kid. I think it tastes best that way! This is the tale of one girl and her quest for the holy grail of margaritas. I have loved margaritas since I became of legal drinking age. It was one of the first cocktails I tried and has remained dear to my heart over the years. Shortly after I turned 21, I was promoted to bartender at the local Black Angus where I was a part-time hostess while going to school. I was trained by two powerhouse gals, Kandy and April. The three of us became fast friends and often went out for cocktails together after our shifts. Monday’s were special evenings for us since it was the only evening all 3 of us had off and Ally McBeal was on!! I looooooove Ally McBeal! So each Monday, we would congregate to Kandy’s home for dinner, Ally McBeal, and of course, margaritas. We would debate over our prefered tequilas, and mixers all the time. However we all agreed that the Cadillac margarita was, by far, the best type of margarita out there. 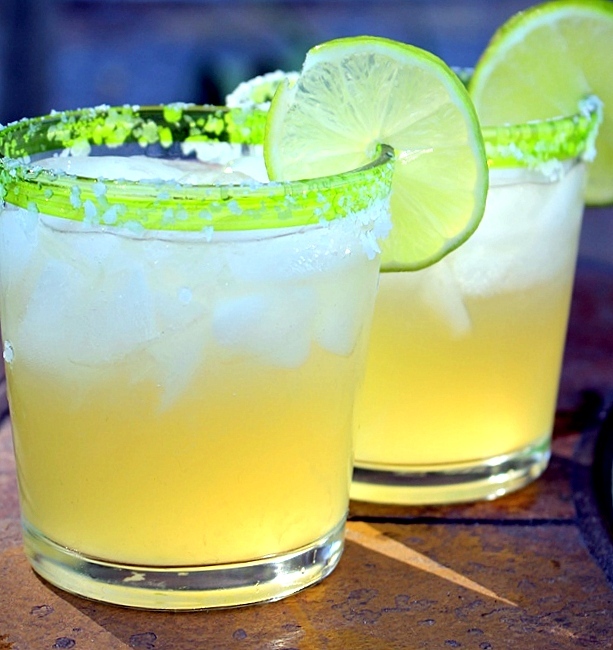 The Cadillac Margarita is considered by many, the best margarita out there. It is always made with top shelf ingredients and augmented with an orange liquor, typically Grand Mariner or Cointreau. Most Mexican restaurants will have a version of this on their cocktail menu, just look for the most expensive one. Believe me, it’s worth the extra couple of bucks! Water, High Fructose Corn Syrup, Citric Acid, Sodium Citrate, Sodium Hexametaphosphate, Acacia Gum, Potassium Sorbate (Preservative), Polysorbate 60, Natural Flavors, Ester Gum, Sodium Metabisulfite (Preservative), Calcium Disodium EDTA (to Protect Flavor), Yellow 5, Yellow 6. Good lord Faye Dunaway was terrifying!! Do you think if a bartender saw that coming at them they would serve that garbage? I think not! So I try to keep my margarita drinking to places with a reputation for quality cocktails. However, I have learned that even these places will cheat. I went to a certain swanky Mexican fusion restaurant in downtown Bellevue (the hoity toity neighbor of Seattle) recently where it says at the top of the cocktail menu: All Margaritas are crafted with 100% Blue Agave tequila and fresh juices…. and then I watched the bartender fill up half the glass with sour mix! I couldn’t believe it! I had half a mind to say something but decided against it since it was happy hour and I was already getting the drink for half price. And why am I so particular about quality margaritas? It’s one of those things where once you have an exemplar, there is no turning back. Which brings us to last June where I found myself at a teacher professional development summit in San Diego. Having never been to San Diego, it was only natural to spend the evenings exploring the area. On our last night, we decided to check out a Mexican Restaurant in the Gas Light District called La Puerta. La Puerta takes great pride in what they serve, practically everything is made fresh daily with the best ingredients. This is the place where I had The Best Margarita EVER!!! …. and another….. and another. The angels came down from heaven, Jimmy Buffet started singing, I was riding a unicorn on the beach…. you get the idea. It was beyond perfection. After getting down off my unicorn I grabbed the menu and took another look at the ingredients. Pure agave tequila, ok. Cointreau, sure. Lime, duh! Agave nectar….. huh? Never heard of that. After some brief googling I learned that it’s a natural sweetener much like maple syrup but made from the same plant that renders tequila. A ha! 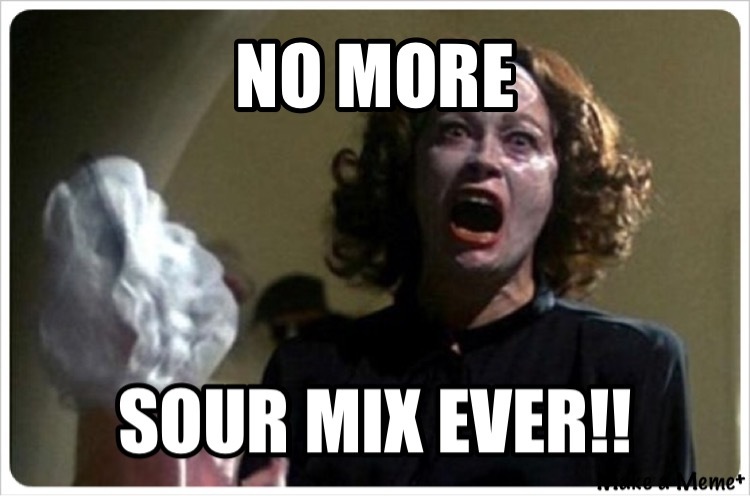 This is the key to getting past the sweet and sour mix problem. If I add a little of this, some sweetened lime juice and fresh lime, we should be in business!! And boy, were we ever!! So why don’t I shut up already and tell you how to make it right?? Right! 1 oz. 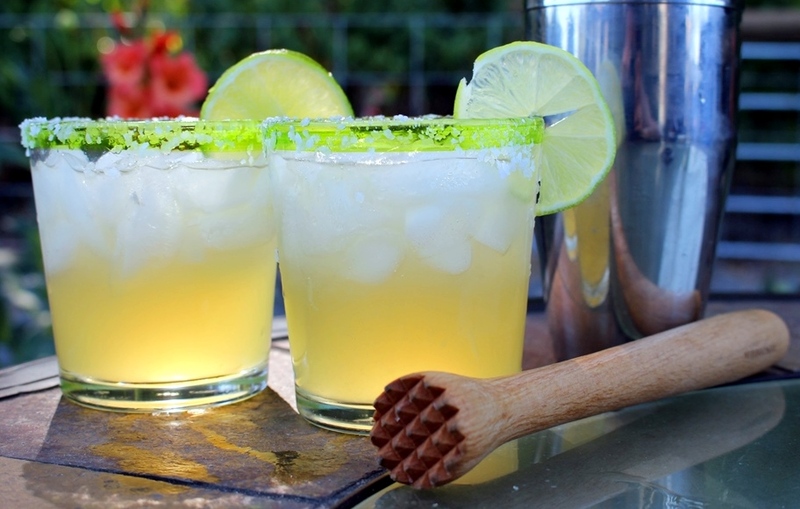 pure agave tequila – Cazadores and Hornitos are my favorites. Add tequila, Grand Mariner, and the lime wedge to a cocktail shaker and muddle. Add sweetened lime juice, agave nectar, and water to the cocktail shaker and shake. Salt the rim of your glass and add ice. Strain liquid into glass and enjoy! Jeff Foxworthy…. That is where this idea began. For over 30 years he has been listing the indicators that will gauge whether you are indeed a redneck. When I first heard some of these, long before I moved to a small town, I thought they were funny but not as common as he made them out to be. Boy, was I wrong, many of his statements are now found in my own home! As I looked around I found more and more!! Then it occurred to me, how much fun would it be to turn this into a game! A scavenger hunt! He also states that you can’t make fun of redneck unless you are one. I know Mountain Man “are” one. I’m trying really hard to be one too! It’s tough! Often rational thought beats it out of me so often. That is why I consider myself still an aspiring small town girl. As the years roll by, little things do change. I’ve traded my jackets for hoodies and sneakers for cowboy boots. I listen to country music… and enjoy it enthusiastically which I never thought would happen. I’ve heard myself say words like “reckon” “yonder” and “darn right.” Sometimes it even startles me when I hear myself. So I’m getting there. Redencks love to show off their money…. that’s why everything is proudly displayed in our front yard. 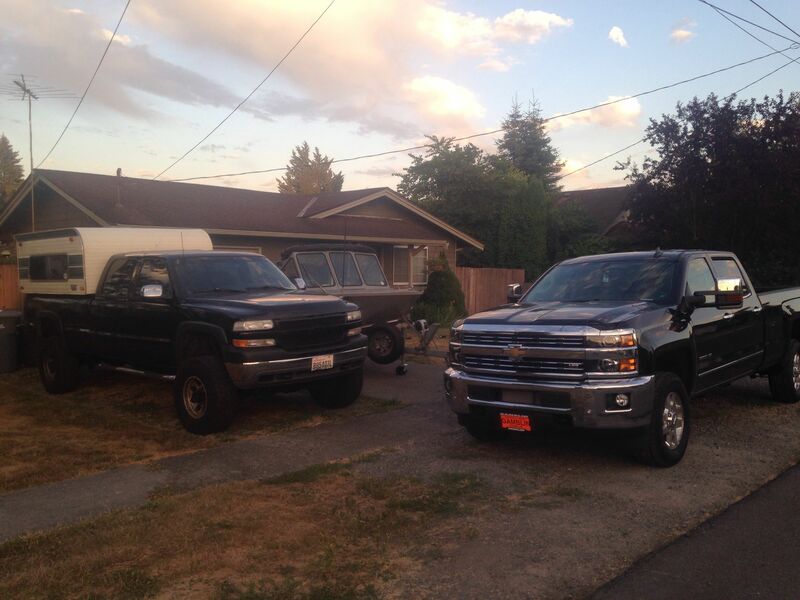 If fewer than half your cars run… you might be a redneck. Oh did you think those were our only trucks? That’s sweet. No no, there are two Toyotas in the back. Now here is where MM and I differ in opinions: He would state that these two run, which is true, I suppose. You can turn a key and something will happen. But they obviously aren’t going anywhere now are they? 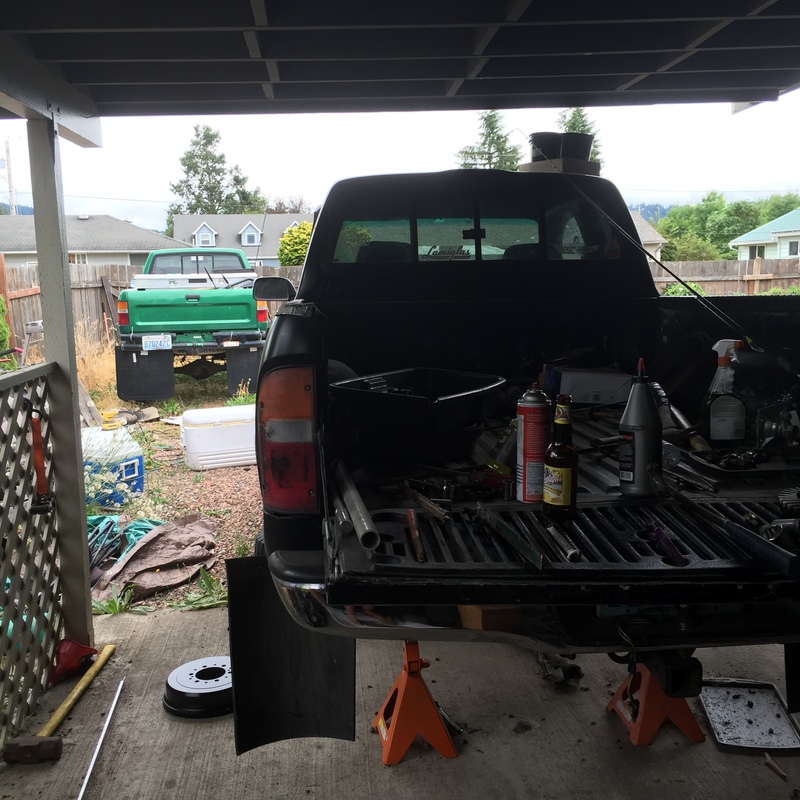 So let’s do a quick tally: 2 in front that work, 2 in back that don’t…. so I guess we’re breaking even right? Wrong! Here’s the other one in the garage that doubles as a storage/ dumping ground. So in essence, we do fit into this category for the moment, but just barely. #whatcarbonfootprint? Upon showing you this window of our life, I can only hope you won’t judge us too harshly. I know it’s not a very conventional lifestyle and this is where rational thought beats out the redneck in me. But I love my man and he wouldn’t be him if it weren’t for his hobbies and love for all things with motors. Let’s be real, we all have those things that drive each other crazy, and I’m far from perfect as I’m sure he’d tell you if he were a blogger, lol. So I shrug my shoulders and try to adjust to living in a world of motor oil and grease. Yes this happens to me….often. It’s the only traffic jam I don’t mind. Most times I can’t help but laugh. 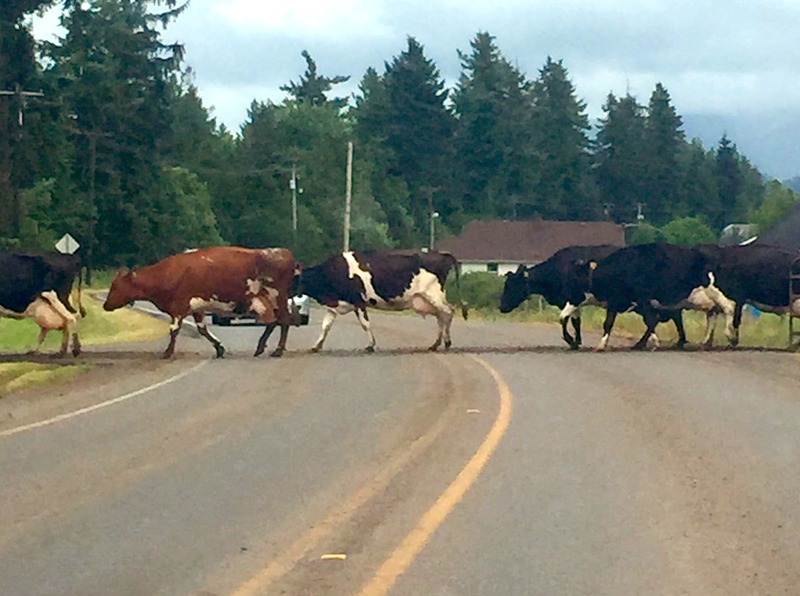 When you live in a small town, chances are there will be cattle farmers, and chances are they will have to herd the cattle from one side of the road to the other. Mooooooooove! If you consider driving a quad a valid and legal mode of transportation… you might be a redneck. MM has told me tales of small towns where driving quads on the road is legal…. this just recently passed in our small town and is not an uncommon sight. 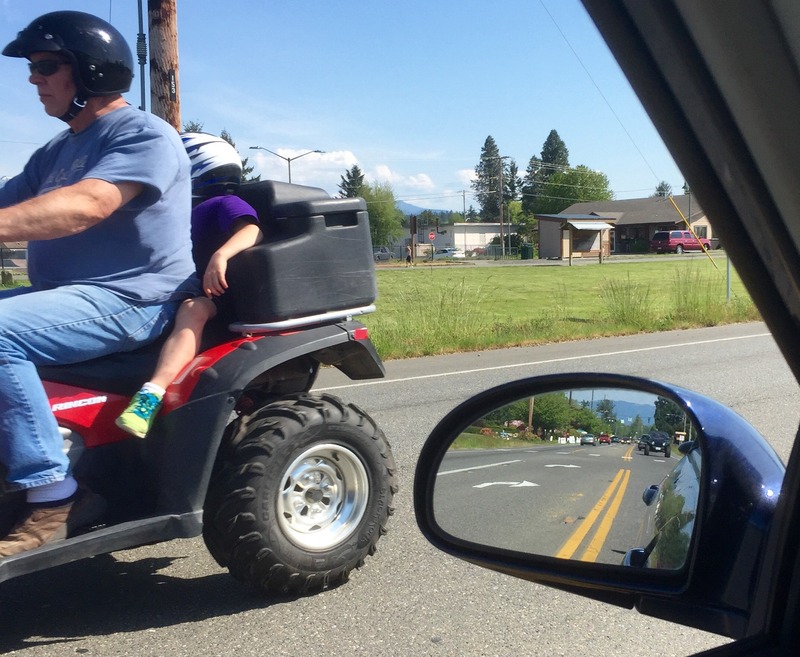 When I saw this coming down the highway I had to be that little busy body spy who rolled down her window and sneakily snapped this pic as he drove by…. on the highway… going 40 mph. What I didn’t notice until I got home and looked at the picture was the child scrunched up in the back! OMG! I was shocked and in my shock showed MM expecting a reaction. What I got was a shrug of the shoulders and this response “Well they’re wearing helmets aren’t they?” …. Ugh! Rednecks! Thanks for joining me for another edition of The Great Redneck Scavenger Hunt! I hope you’ve enjoyed. If you have any redneck-ism about being on the road feel free to share in the comments!! Welcome back to another fabulous edition of Small Town Girl’s Favorite Finds. I hope your week is going well! Here’s a little blog love for some of my absolute favorite posts from last week. I hope you enjoy. Also check out the Pinterest board for more of my favorite finds! Up first: Greek Chicken Salad from What’s Gaby Cooking. I’m trying this out later this week for dinner. I love all things greek! Opa! I make a similar greek salad as a side dish but I love the addition of a delicious marinated grilled chicken over a bed of arugula. Yes Please! Can’t wait to make this one, Gaby! Click on the pic to go to the link! Baked Caprese Eggs with Pesto from For the Love of Cooking. I had a baked egg breakfast just last week in Portland for the first time! It was incredible. While sitting there devouring breakfast, I thought, a caprese version would be incredible! A couple of days later I found this! I love when fellow bloggers read my mind! If I had my way, a butler, a personal chef, and a maid, I would have these for breakfast every morning. In the meantime while I’m waiting for my money to come in, ha ha ha, I’ll just have to try making this myself. Click on the pic to go to the link! The tomatoes are coming in and canning is imminent so finding some good recipes is a must! With a title like: Simply the Best Tomato Sauce by The Happy Idiot, how could I not share! Besides the obvious, there is also herbs, onions, celery, and carrots in the mix which, I’m certain, makes this recipe far superior to plain Jane tomato sauce. I will definitely be making a batch of this deliciousness. Click on the pic to go to the link! 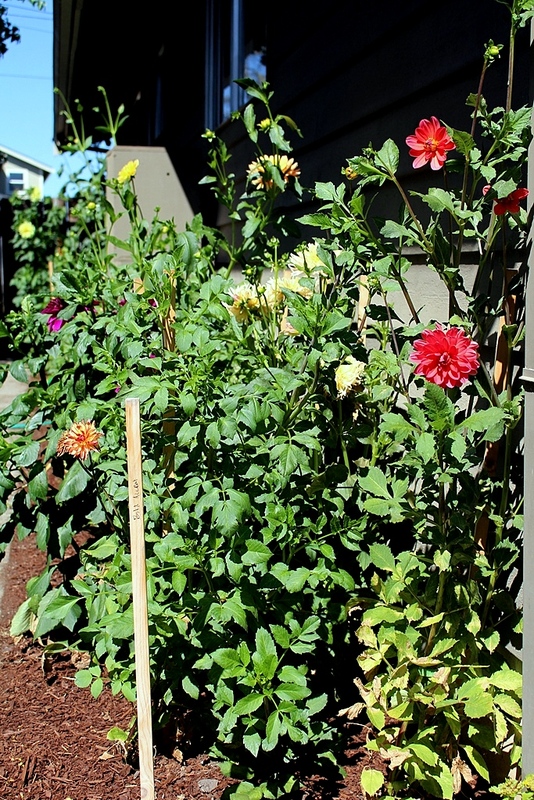 Free Organic Fish Fertilizer for the Garden from Idlewild Alaska. Ok so maybe this one is just for me since I fish and garden but I had to share. 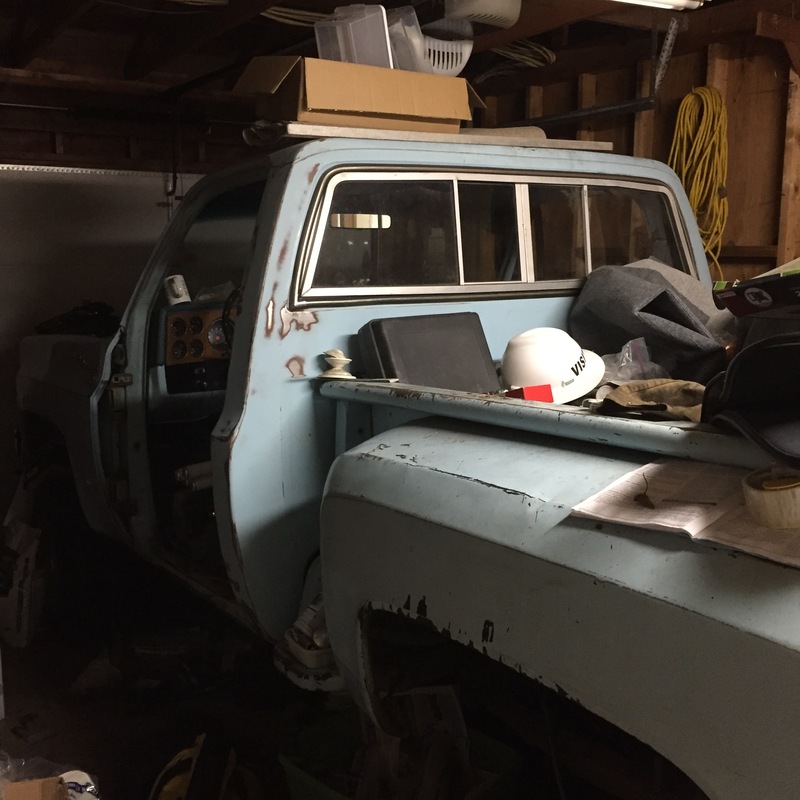 Besides the fact that I am THRILLED to have found a blogger with such specific similar interests, this is something Mountain Man and I have been talking about doing for a long time. I was reserved about trying it because meat tends to bring on the bugs and stink but this method seems sound. What a great post! Click on the pic to go to the link! Garlic Scapes Pesto from A Dish of Daily Life. You may already know that I discovered garlic scapes this year and LOVE LOVE LOVE THEM!!! So all things garlic scapes make me pretty happy these days. They must be out of this world in a pesto! Yowza! Click on the pic to go to the link! Last but not least: Peach Moscato Smoothie from Cooking with Curls. I’ve been following Lisa for about a year now. Her cooking is phenomenal but her drinks and photography of said drinks are out of this world! I love them all always look forward to the next post. She should open a cocktail lounge! This is one of her most recent examples of cold beverage awesomeness that I can’t wait to make. Click on the pic to go to the link!